Need insider secrets and proven tactics? 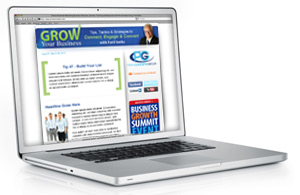 You need the Grow Your Business Newsletter. Subscribe here to get Prime Concepts’ complimentary newsletter filled with direct and Internet marketing tips and strategies, as well as other business growth resources. You’ll receive insider secrets and proven tactics to help you improve your sales and create profitable results in your inbox monthly. about our innovative digital marketing services!